This post may contain affiliate links or sponsored content. More info: Disclaimer. If you google the term “digital nomad” you will find countless of blogs that talk about the nomad and location-independent lifestyle. But apart from those knowledge resources, there are also some valuable books, that are not only great for aspiring remote professionals, but also for seasoned ones. To help you find the best ones, I have created a list with the most informative and motivational digital nomad books out there. Some of these books focus more on the traveling part, others help you to implement your dream business and again others are a fantastic motivation to show you how you can become location-independent. In case you are looking for a nice entertainment on a rainy Sunday afternoon or a boring long-distance flight, check out these must-reads and get inspired! The 4-Hour Workweek by Tim Ferris is probably the most popular book for digital nomads. Many have started their location-independent lifestyle after reading it. It was one of the first of its kind, explaining how to outsource, use automation and create income with investing only little time and effort. With real-life examples he proves that literally anyone can live that kind of free life. 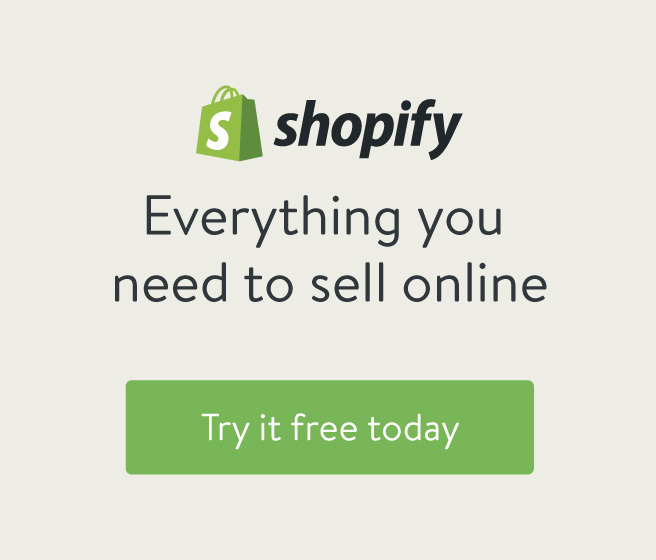 Although the book was written about 10 years ago and most of the practices, like dropshipping, aren’t that new and exciting anymore, it is still an eye-opener to many readers and a great inspiration. Another one of the must-read digital nomad books out there: The Art of Non-Conformity by Chris Guillebeau is a great starting point for everyone looking for an unconventional life. It inspires you to live your life on your own terms and do not stick to the traditional way of living if it doesn’t make you happy. An absolute classic that might not focus on being a digital nomad but it is a great inspiration on how to be the writer of your own play, instead of living the life that society laid out before you. $100 Startup is another remarkable book written by Chris Guillebeau (you probably can’t go wrong with any of his books). Many aspiring digital nomads want to start their own business and this book teaches you how to do so on a small budget. He presents 50 intriguing case studies of individuals with businesses making more than $50.000 by only investing $100 or less. These people used their personal passions and monetized them to finally enjoy greater freedom and fulfillment. This easy to follow guide contains exact income numbers, key mistakes, and crucial insights. Vagabonding by Rolf Potts is one of those digital nomad books that have a stronger focus on the traveling part. The book explains how you can finance your travels, how to adjust to new countries, deal with certain frustrations and how to cope with the cultural shock once you get back home – all with a good portion of humor in it. Vagabonding will show you that it is indeed possible and not that hard to be a perpetual traveler, even on a small budget. Crush It! by Gary Vaynerchuk is for everyone who needs a spark to finally get up and leave your comfortable 9-5 work life behind. Whether you want to become a freelancer or remote worker, this book got you covered. Gary teaches you how to see your new lifestyle as a business and how to act like an entrepreneur to be successful. It is definitely more inspirational than informative, but particularly great for people new to the world of entrepreneurship. Are you looking for a book that goes into detail of being a business for yourself? Then you have to read The Personal MBA by Josh Kaufmann. It is a kind of do-it-yourself substitute to a traditional, super expensive MBA program. Josh tells you the most important facts about productivity, negotiation, marketing, sales, operations and much more. Perfect for everyone who is inexperienced in business. A great read that helps you gaining knowledge of the often neglected business side of being a digital nomad. Delivering Happiness by Tony Hsieh is one of those digital nomad books, that help you a lot when you work with clients, have customers, need to outsource to freelancers or have employees. If you want to work together with them successfully on the long-run, you need to learn how to create delight for everyone involved in your business. The idea behind it is that people may not remember what you did, but they will remember how you made them feel. This book helps you internalizing the principles of this science-based philosophy of happiness and thus, improve the relationship with your customers and clients. Remote by Jason Fried and David Heinemeier Hansson (the founders of 37signals) is another bestseller amongst all digital nomad books. It provides valuable insights and thoughts on the work-from-home model and shows, how employers and employees can work together from anywhere in the world. The Laptop Millionaire by Mark Anastasi might at times lay it on a little thick. However, it is a fantastic resource for everyone who wants to escape the 9 to 5 and start a location-independent lifestyle. It provides easy to follow strategies and blueprints for how to get your online-based business started. The mentioned guidelines are the ones he applied to live the laptop lifestyle he has, so they are a proven way to become super successful. In Rich Dad, Poor Dad Robert Kiyosaki writes about his own father, the poor dad, and his friend’s father, the rich dad. He explains how his dad is highly educated but still financially unstable, while his friends’ dad is a school dropout and multimillionaire. Both men approach the way to achieve success differently and with very different outcomes. This book helps you to prepare for the day when the money finally starts rolling in. If your long-term objective is to never work again, you will find some helpful advice in this book. Another classic amongst the digital nomad books. Chris Ducker’s Virtual Freedom explains you step-by-step how you can build an outsourced location-independent business. More than that he gives you some very interesting insights into how quickly you can grow your online business if you really want to. Learn how to find, hire, train, manage and motivate your virtual staff and how the outsourcing gives you more time and thus, productivity. While The Power of Habit by Charles Duhigg might not directly be related to a location-independent lifestyle, it will help you a lot with running your business. Charles explains how you can break your unhealthy habits and replace them with useful ones, so your working life can profit from them. He supports his statements with scientific discoveries and plenty of fascinating information. A New York Times Bestseller that can easily change your life. There is no way I can create a list with the best digital nomad books without having Seth Godin in it. His book Tribes shows you how important it is to find your tribe when you want to be successful with your business and want to create a market-leading brand. He shows that leadership is not only for other people. You have the opportunity to mobilize an audience that is already right in front of you, too. It’s easier than you think. Although this visionary book was published almost ten years ago, the idea and principles behind it are still valid and absolutely essential. Travel While You Work by Mish Slade has some very practical information for every aspiring digital nomad. It’s easy to read and helps you to prepare your new lifestyle and to improve the way you travel. If you have an existing business it will help you to take it mobile, gives you inspiration, resources, and practical guidance. There are interviews with different business owners and freelancers, as well as with traveling families who managed to combine entrepreneurship and education. A helpful guide if you are about to make the transition from your normal life to a location-independent one. Book Yourself Solid by Michael Port is one of the digital nomad books that is especially important for freelancers. Many people feel uncomfortable with self-promotion. However, this is what you have to do quite frequently when you want to find clients. This book has some excellent strategies that teach you how to get more clients and how to attract the right clients. Be a Free-Range Human by Marianne Cantwell is a great book for people struggling with their work-life balance and seeking personal growth. This practical guide helps you to create a life of fulfillment by leaving behind what you don’t need and focus on what makes you truly happy. Decide when, where and how to work, to finally live your life every day and not just on the weekends. Is The Zero Hour Workwork by Jonathan Mead an even better version of the famous 4-Hour Workweek? Not exactly. Because this book doesn’t tell you how to reduce your working hours, but how to create a job that doesn’t feel like work at all. Jonathan explains how he managed to build a lifestyle where he can’t tell the difference between work and play anymore. He provides detailed strategies on how to get paid to do what you love. He helps you find the intersection between what you are passionate about, what you are good at and what people will pay you for. A different approach that many (aspiring) digital nomads will find very interesting. In case you are at the very beginning of your journey to location-independence and want to learn what steps exactly you have to take to become a digital nomad, this book is the right one for you. How to Become a Digital Nomad is one of my own books and guides you step-by-step through the process. You will learn the good and the bad parts about being a digital nomad, how you need to prepare your new lifestyle financially and how you find the best types of accommodation while traveling. You will also get plenty of tips on how to make friends while traveling, how to stay productive and get your work done and learn the best advice on how to stay safe while being on the road. A great guide for everyone who’s is just starting out. In case these digital nomad books are still not enough and you are looking for more information and inspiration, head over to Nomad Stack. They have a very comprehensive list with many different books to satisfy your hungry nomad heart – anything from travel books to business-related guides. That should give you a couple of months’ worth reading material. 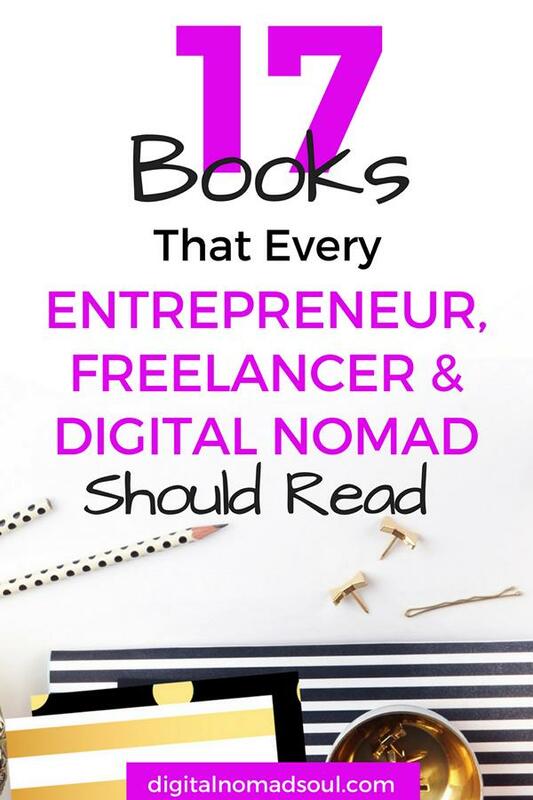 As you can see, there are plenty of digital nomad books out there. Even if they don’t say “digital nomad” in their title, they still cover different aspects of the location-independent lifestyle. These books are valuable resources for everyone who wants to become a remote professional of any type and travel the world. But seasoned digital nomads can also learn a lot from these books. I hope this list gave you a few ideas on what to read next. This post may contain affiliate links, which means I may receive a small commission if you make a purchase using these links. This is at absolutely no extra cost to you, but it will help keep this site up and running. Thank you! Get an extensive list with popular companies that love to let their employees work from home and that are currently hiring. Don't miss your chance and be one of the first to apply! Thanks for subscribing! Please check your inbox for completing your subscription! Location Independent Life Or Digital Nomad: Which One Is Better? Great List, I have already started reading some of them, plan to finish them in next year and re-read them, thanks alot, it is really helping me to feel confident about my career choices. Thanks a lot, Mike! (and Oshin ;) ) I’m planning a second post with digital nomad books anyway and just added yours to the draft list! Hi Denise! I was going to drop you a little note and suggest Digital Nomad Escape Plan, too. And then I realized you’d have to change your pins and the article title –so I thought I’d mention it here. Digital Nomad Escape Plan is a free 200+ page guide to becoming a digital nomad in Chiang Mai, Thailand. It’s updated regularly, too. Anyone looking for it can pick it up by clicking on my name. As always, love your blog Denise. Hope to see you on the road somewhere, sometime. Get the list today and receive helpful newsletters! SafetyWing Review: A Good Health Insurance for Digital Nomads?